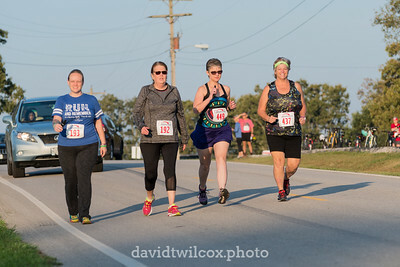 The Wildcat Duathlon / 5K in Rogersville, Missouri, on 14 October 2017. 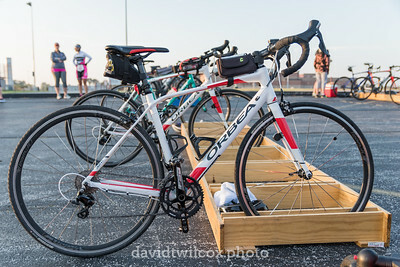 The transition area for the duathlon during pre-race set up. 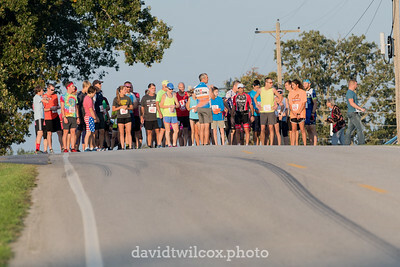 Moments before the start of the 5K and first running leg of the duathlon. 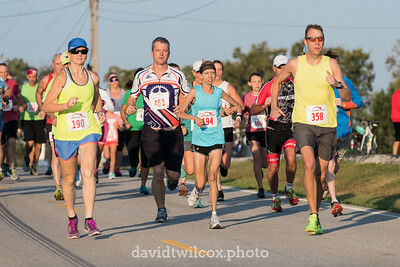 Runners take off from the starting line for the 5K and first running leg of the Wildcat Duathlon / 5K. 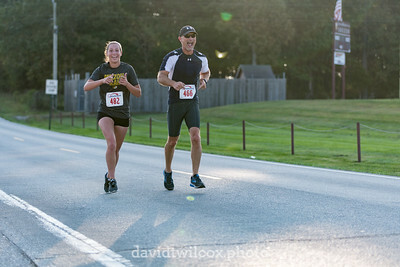 Runners are always all smiles the first 50 meters of a race. 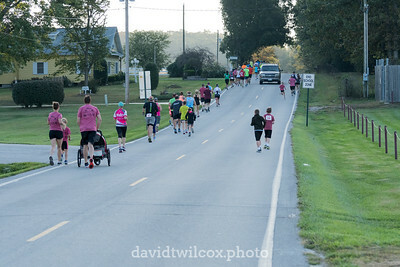 A strong morning sun lit the way for the runners as they headed onto the rural course. 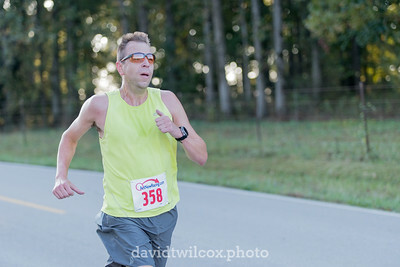 Ron Boyer sets a strong pace at the start. 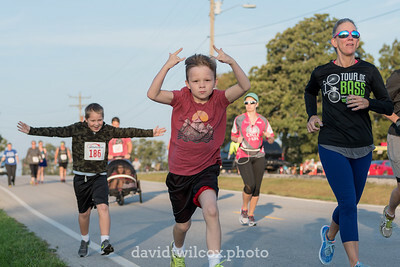 Runners of all ages participated in the event. 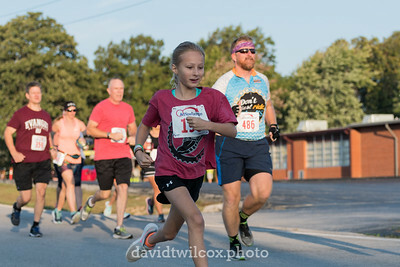 One of the youngest competitors not in a stroller sets out strong (and ended up finishing strong, too). 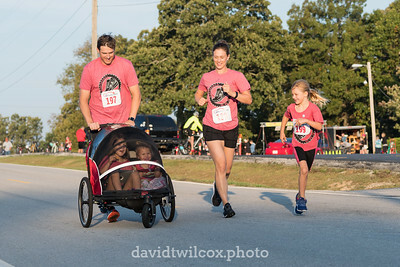 Families with kids of all ages participated in the 5K portion of the event. 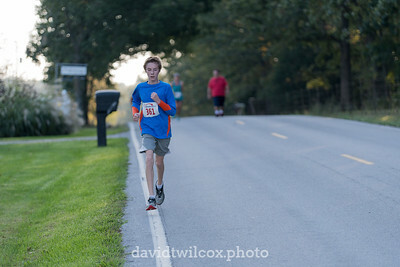 If this young guy put as much energy into running as did into his attitude, he probably finished well. 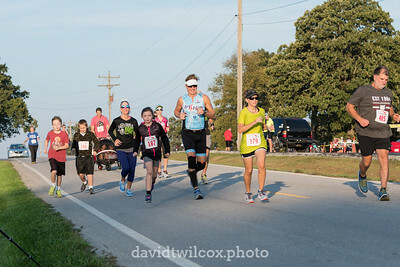 The great part of community events such as the Wildcat Duathlon / 5K is the opportunity for entire families to participate. 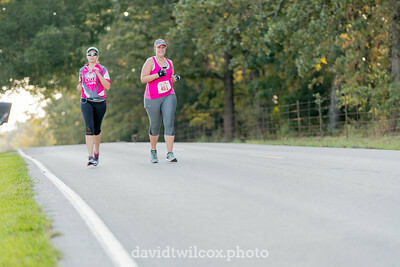 These ladies weren't running from the traffic behind them, but had just started one of their running intervals. 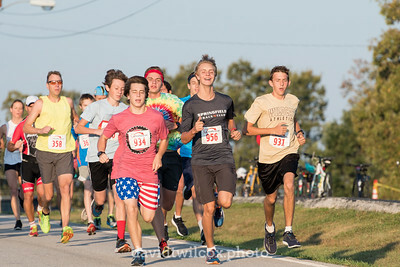 The boys on the right didn't quite get the message "all runners to one side", but the truck did make it through the crowd without issue. 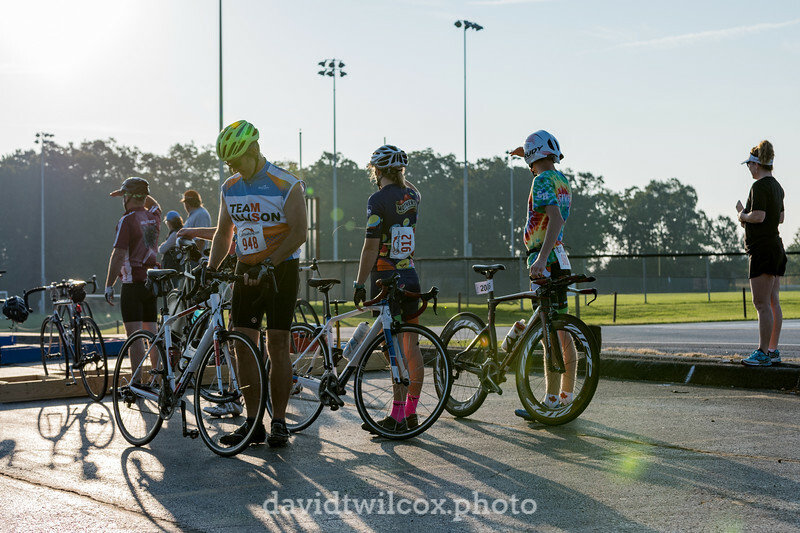 The duathlon was set up to be an individual or relay event. 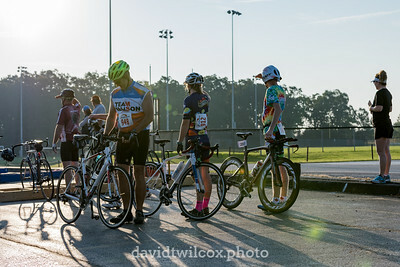 Cyclists wait in the transition area for their running partners to tag in so they can begin the 12 mile cycling portion of the duathlon. 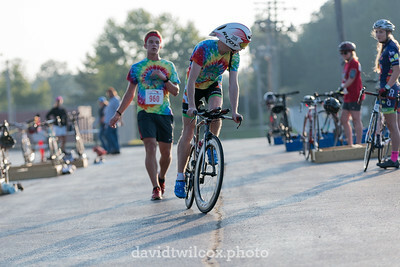 A runner tags his duathlon cycling partner after completing the first of two 2-mile running legs in the duathlon. 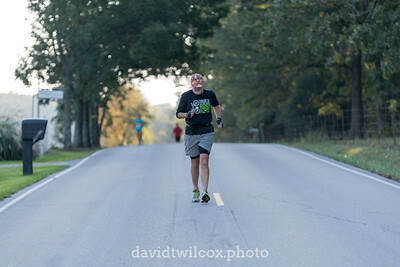 After his partner completes the 12-mile cycling portion, the runner will have to complete another 2-mile run to finish the event for the team. 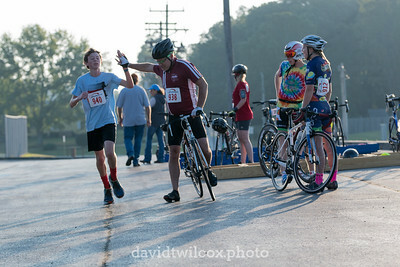 A cyclist takes off out of the transition area after getting tagged by his running partner. 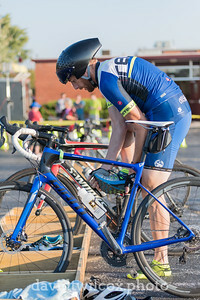 An individual duathlon participant swaps running shoes for cycling shoes in the transition area. Stephanie Davenport completes the first of two running legs in the triathlon as she approaches the transition area. While I disagree with the pronunciation of the state name on the shirt, I do appreciate the enthusiasm of this pair of runners. 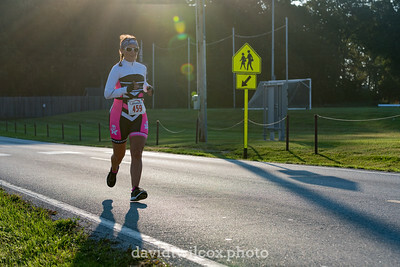 A duathlon participant approaches the transition area. 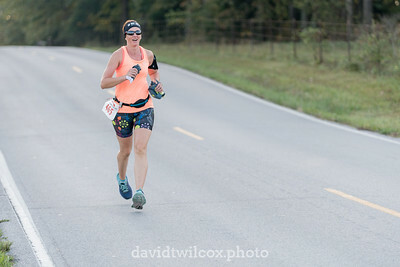 Christine Cornelius finishes the first running leg of the duathlon strong, while announcing the arm warmers were "too hot". 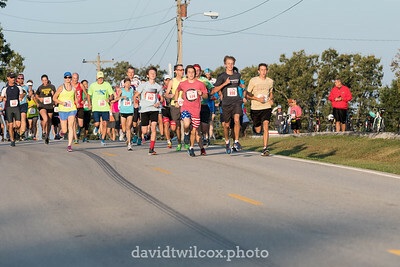 Bryan Todd leads the pack of 5K runners to the finish line, with a time of just over 18 minutes. Two duathlon participants head towards the transition area after running leg one. 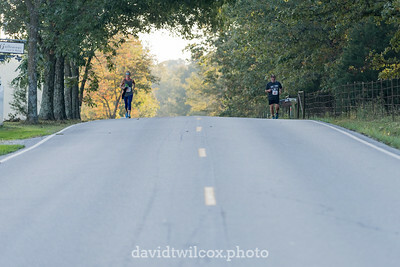 Two duathlon participants split the road between them on the final approach to the transition area. 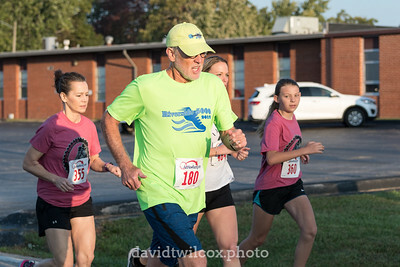 Coach Scruggs of Rogersville makes a strong push to the transition area of the duathlon. 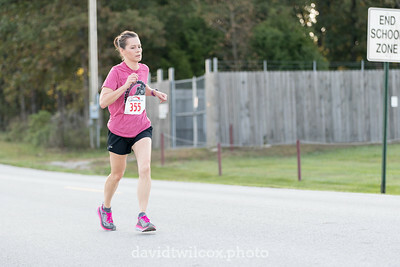 Karen McKinnis finishes the 5K as the second overall participant and first female finisher. 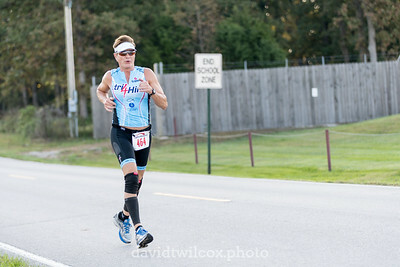 Duathlon participant Rod Pennington goes heads down towards the transition area near the end of the first running leg. 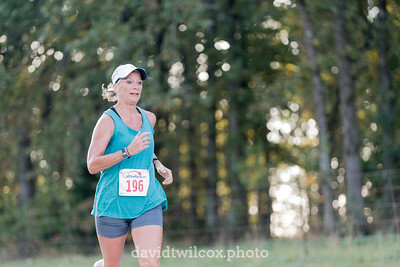 Trina Wilcox makes a hard push to finish the 5K as the first masters female and third overall. 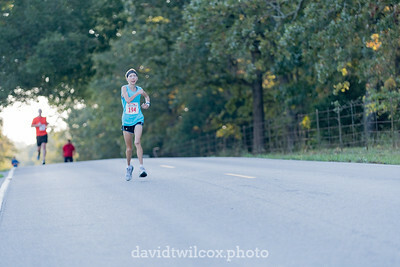 A younger runner floats down the fog line on the last downhill to the finish. 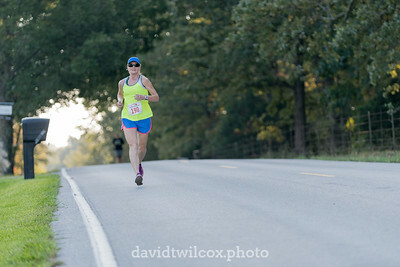 A 5K runner has absolute focus as she heads downhill to the finish line. 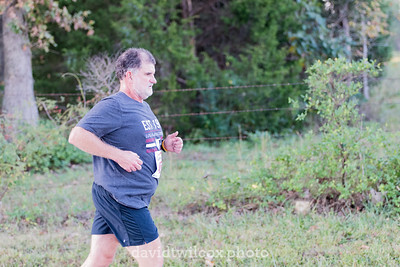 Another 5K finisher hits the last dip before coming to the finish line of the event.